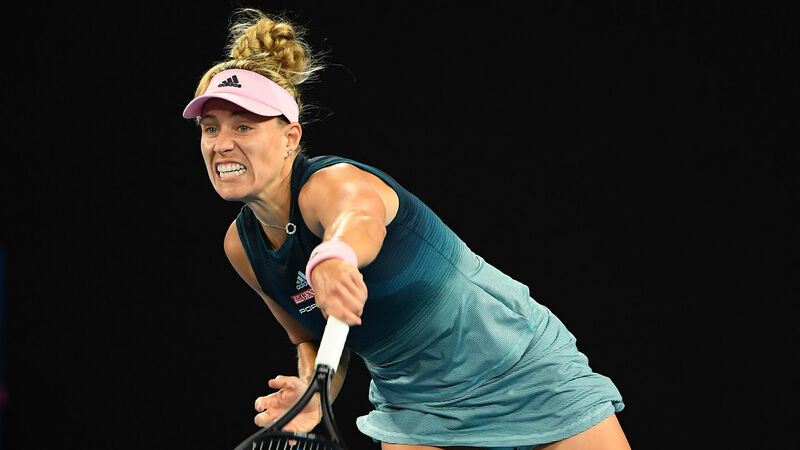 Caroline Wozniacki and Aryna Sabalenka both suffered high-profile upsets on Friday at the Australian Open, but second seed Angelique Kerber was a comfortable winner. Defending champion Wozniacki went down to Maria Sharapova, while Sabalenka's exit was particularly humbling as teenager Amanda Anisimova triumphed in straight sets. Yet Kerber, playing in the final match of the day on her 31st birthday, ensured her name would not be added to that list, racing to victory over Kimberly Birrell. Sloane Stephens, the fifth seed, and Petra Kvitova, seeded eighth, also headed through as an exciting fourth-round draw takes form. The German was in rampant form and secured a 6-1 6-0 triumph to continue her course towards a potential quarter-final meeting with Stephens. Of her latest birthday victory, Kerber said on court: "I always enjoy my birthdays here. I think it's the 12th time in a row. I have the best time!" Stephens was worked much harder by Petra Martic, but she also came through in straight sets, winning 7-6 (8-6) 7-6 (7-5) to book a meeting with Anastasia Pavlyuchenkova. Belinda Bencic looked set to take Kvitova all the way when she broke in the second set, but the Czech kicked on again and came out a 6-1 6-4 winner. Kvitova has not yet dropped a set ahead of facing Anisimova next and attributes her success to her confident mood. "Always you see it with the important points, the key points are there," she said. "That's about the confidence, for sure, going for the winners or for the ace or for a really good rally. I think I showed that in the second set. I was a break down, the game was pretty tight. "Sometimes I'm kind of the player who is pretty risky. When you don't really have enough confidence, it's always like not great, so I'm happy that it's on the other side now." While Stephens and Kvitova progressed unscathed, it was a tough day for several seeds. Caroline Garcia followed Wozniacki and Sabalenka in bowing out as she lost to American Danielle Collins in straight sets. Collins plays Kerber next. Ashleigh Barty did progress, but she is expecting a challenge against Sharapova in the fourth round: "It's just an opportunity for me to go and test myself against the best."